October’s Positive Change recipient is Dream of Wild Health, an organization that restores health and well-being in the Native community by recovering knowledge of and access to healthy Indigenous foods, medicines and lifeways. Operational since 1998, they have a strong reputation in the community as a safe environment where youth, young adults, and their families receive community support and increased connectivity to bolster their leadership, dreams, and ambitions. Today, Dream of Wild Health operates and owns a 10-acre farm in Hugo, Minnesota that serves the Twin Cities Native community. 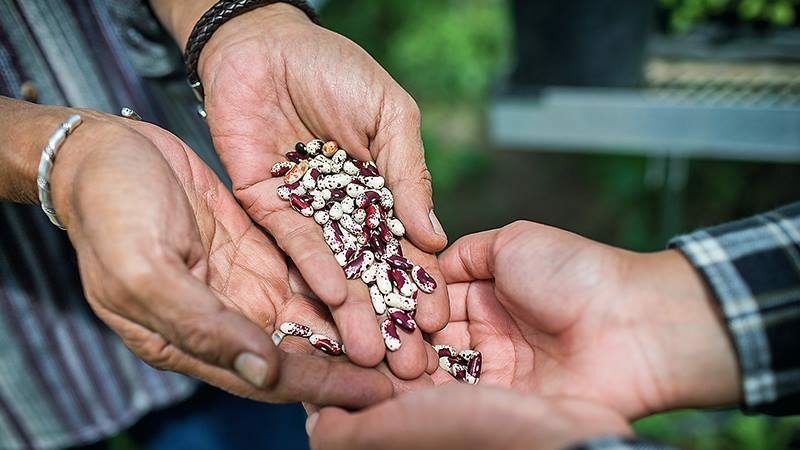 During the 2016 growing season, their farm produced 9,280 pounds of food and 200 plus varieties of Indigenous seeds that have been saved and stewarded. Produce from the farm, including fruits, vegetables, wild plants, and berries, is sold by youth program participants at three farmers markets in Minneapolis and St. Paul. October Positive Change funds will support their Native Youth Education & Leadership Programs, which provide Native American youth from St. Paul and Minneapolis with the skills and knowledge needed to preserve the land and environment that sustains us, deepens their connection with Native culture, and increases their knowledge of healthful food. Cora’s Kids – a four-day program for youth ages 8-12 out at the farm to learn about Native culture and language, traditional Indigenous crafts and games, and how to grow and eat healthy, tasty food. Garden Warriors – a three to four-week program for teens ages 13-18 who attend sessions four days a week covering gardening, nutrition, physical activity, and Native culture and language. Participants are paid a stipend for their work experience and have an opportunity to cook healthy lunches and work at the farmers markets. Youth Leaders – Garden Warriors who demonstrate maturity and commitment to succeeding in school are invited to join a year-round Youth Leaders group. This is an opportunity for Native youth to take leadership in their communities around nutrition, health, and food justice issues.